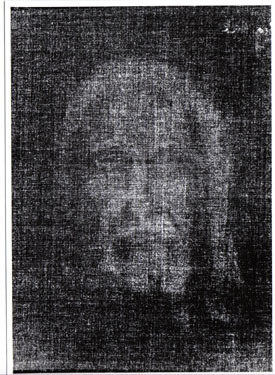 The Shroud of Turin has long confused, amazed, and befuddled both its critics and proponents. There are many issues surrounding the Shroud and the debate over its authenticity. This site will avoid most of those issues. This site contains the results of a crude experiment that could potentially explain how the Shroud was produced. For centuries no one has been able to explain how a photonegative image of a man could be three-dimensionally encrypted onto linen by medieval forgers unable even to appreciate the completeness of their own art. The Shadow Theory postulates that such an image could be created using only painted glass and sunlight.